Bill Hull’s book, The Disciple Making Pastor, has sold over 150,000 copies. That is a really big seller in the Christian leadership space…I think I know why. The disciple-making pastor cuts through all the clutter that distracts the senior pastor/minister from his real calling. Instead of helping people know Jesus and follow the Bible, too often we end up in countless meetings or catering to dysfunctional people who want the church to meet their needs, or handling conflicts. There is a place for these elements, but too often ministry is almost totally focused on those things. Please join us for the webinar this Thursday, August 2nd at 1:00 pm (CT). Bill is going to talk about the content of his book. And in the end, the passion returns and God uses us to change lives. P.S. 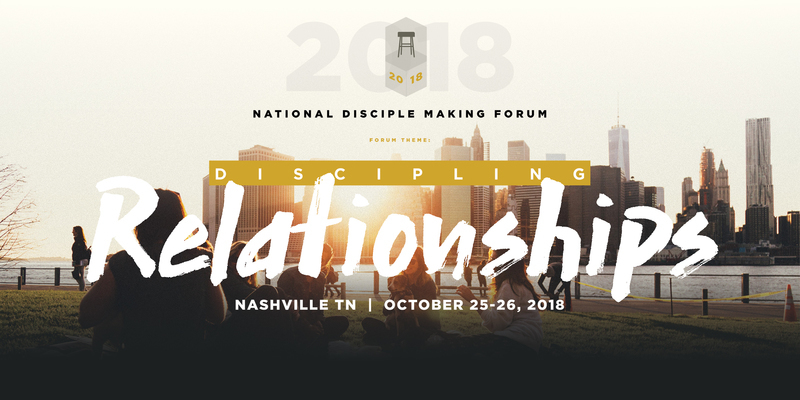 Join us at the National Disciple Making Forum in October, where you can hear Bill Hull, Jim Putman, Robby Gallaty, and many others.